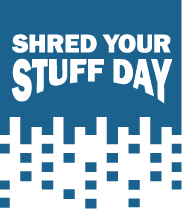 Saturday, September 12, 8 to 11 a.m.
Bring your sensitive documents (like old tax returns and bank statements) to LMCU’s annual Shred Your Stuff Day for secure disposal. Limit of 4 boxes, please! Look for a Kalamazoo Shred event in early Spring 2016.